Alec Weisman is currently living in Los Angeles pursuing a career as a news analyst. He worked as a foreign affairs analyst for the Langley Intelligence Group Network (LIGNET), a project of Newsmax Media, from 2011-2014 covering more than 200 countries and disputed states. 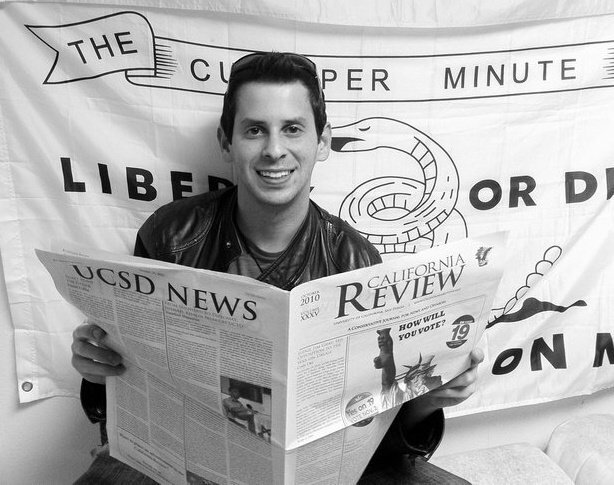 Alec previously served as the Editor-in-Chief of the California Review from 2008-2011 while attending the University of California, San Diego. He graduated from UCSD in June 2011 with a major in Ecology, Behavior, & Evolution and a minor in Political Science. If you would like to provide tips, comments, or suggestions, I can be reached at aweisman@californiareview.net. I know you will enjoy meeting influential people in DC.